Come out and meet your fellow Wine Lovers. We've had quite a few new members join over the Summer and I felt that Proof would be a great spot for us to meet. We first learned of Proof when we volunteered for Dine n Dash back in June. Excellent food, service, with an amazing wine list. “Proof is a Penn Quarter dining destination that exudes both contemporary chic and rustic warmth. 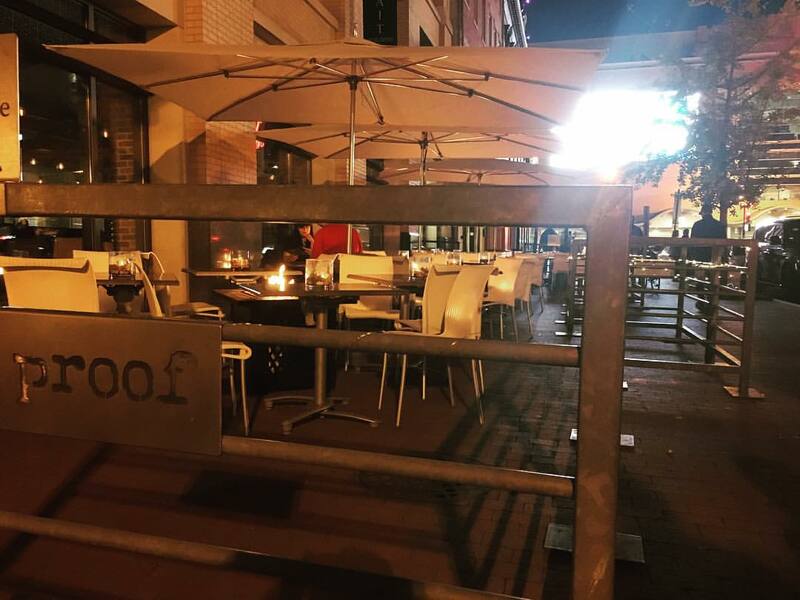 Proof has been awarded 3 Stars from the Washington Post, and 3 1/2 Stars and the #10 rank in Washingtonian Magazine's 100 Very Best Restaurants, and was named Best Upscale Casual Restaurant in Washington, DC at the 2017 RAMMYS Awards by the Restaurant Association of Metropolitan Washington, DC. Getting There: Public Transit: Located 1 block from the Gallery Place/Chinatown Metro (Red, Yellow, and Green Lines) at the corner of 8th and G Streets. If driving there is limited street parking, but valet is available at $12. Or you can use Lyft and use our code: WINELOVERSGROUP to get up to $5 off your first ride.